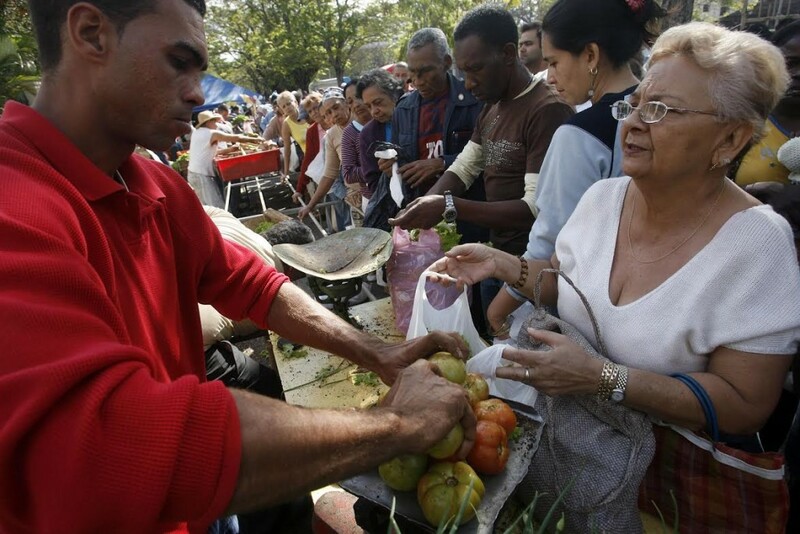 | Why Don’t Things Work in Cuba? Somos+, Kaned Garrido, 30 June 2015 — In Cuba it is quite natural for there to be lines everywhere. For some reason there are always shortages. Prices are high and salaries are very low. And with each step they take, Cubans have to deal with excessive red tape. Since Adam Smith first discussed the value of goods and services, it has been accepted wisdom that the basic principle of economics is the law of supply and demand. When we want something and offer money in return, what we pay depends on the scarcity of the item and how much we want it. This essential rule of the marketplace has been around as long as there has been commerce. But not everyone always has the money to buy food. The market does not create boundless wealth; it only balances supply and demand. This is where socialism failed at solving the problems of humanity. Intentions may have been good but the issue was that it attacked the very mechanism that allows an economy to function: the marketplace. The crushing machinery of socialism does not allow for a basic analysis of supply and demand. It manipulates prices, directs production and controls commerce. A group of people decides what must be produced and what must be consumed. This is why Cuba distributes cigars to those who do not smoke and hands out clothing without regard to the size of the person wearing it. With centralization came the tedious apparatus of bureaucracy. Since the earliest days of the Revolution, bureaucracy has been singled out as the cause of the problem. But bureaucracy is essential to centralization. Without bureaucracy there would be no socialism. Without all the paperwork how would prices, business transactions and production be controlled? It amounts to an attempt to manipulate the economy through government policy. Who could believe that forcibly reducing prices would put more food on store shelves? If that were the case, there would be no hunger. The reality is that prices are a reflection of supply and demand. If we want to end hunger, we should provide subsidies and improve access to food. But controlling prices will not put more bread on the table. In order to reduce prices, production must be increased, something Cuban factories have been trying to do for years. But that leads to the following question: Why don’t Cuban businesses produce enough? In the first place, they are not even geared towards consumer demand. Everything is planned based on what managers believe will be needed. In the second place, they are operated without concern for profit, the very thing and drives the economy. They operate according to political guidelines, which ultimately leads to corruption. Lifting the embargo might alleviate shortages a little but it will not do away with them. As long as the economy is centrally planned, low salaries, short supplies and an oppressive bureaucracy will persist.